21W x 28D x 21H; 14.5H to lower shelf. Attractively figured walnut and oak veneers with oak solids. 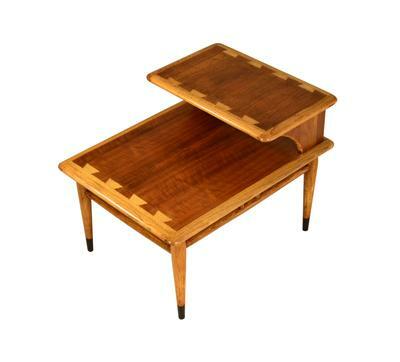 We have handled a dozen or so of these tables since 2010, and often have extras in stock. Prices typically range from $250 - $375, based on condition. If you're looking for examples of this iconic table, please contact the gallery. The photos used here to illustrate the 900-07 are from several different examples of the style. NB: We typically have this table in stock. Please inquire.